The Spartan is no ordinary race. You'll need to lift heavier, run faster, jump higher, and compete smarter than ever before just to survive. That's where we come in. The Spartan is no ordinary race. You'll need to lift heavier, run faster, jump higher, and compete smarter than ever before just to survive. That's where we come in. If you plan on conquering 10 punishing miles of diabolical obstacles, typical race training will have you falling painfully short. Ancient Spartans trained for decades to prepare for battle. We'll have the unbreakable new you ready in time for race day. 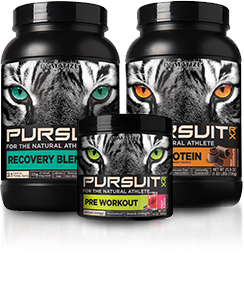 Introducing new, all-natural Pursuit Rx, a line of sports nutritional supplements as hardworking and clean as you are. Developed by an R&D team with over 50 years of industry experience, these efficacious products were made to push you to even faster performance improvement. Order your copy of the Spartan's guide to living a fitter, happier, healthier life! Everyone wants to be fitter, happier, healthier, and more successful. Making it happen requires you to step outside of your comfort zone. 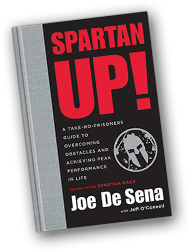 Let the co-founder of Spartan Race show you how! 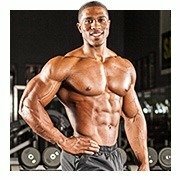 *By giving your email address you are consenting to sharing this information and receiving promotional emails from Bodybuilding.com and Spartan Race. 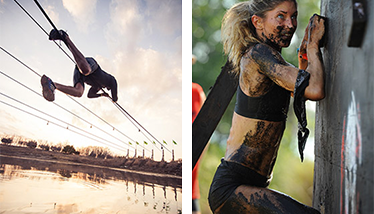 Think you have what it takes to Spartan Up? Prove it! Click the GO NOW button on the right to go to the Spartan Race website and register for a race near you. The Spartan World Championships represents more than the fastest, or the strongest, or the competitor with the greatest endurance. It represents a uniquely human kind of fitness. 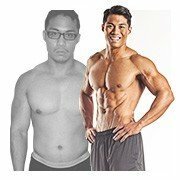 co-founder of Spartan Race show you how! Our massive Exercise Database houses thousands of exercises in one place with detailed instructions, pics, and videos. Simply search by exercise name or by the muscle group you want to work. Use the Find A Plan tool to choose the free, comprehensive fitness plan that's right for your goals. Designed by top trainers and fitness experts, each plan includes video instruction, daily workouts, nutrition info, supplement guides, motivational emails, and more. A hill is a useful piece of training equipment. No matter how tough you think you are, elevation will push you to the breaking point. No one is immune. If you want to go full speed without having to run fast, a hill will supply you with everything you need. High intensity intervals of maximal effort are a great way to benefit your cardiovascular and muscular systems, all while burning any surplus calories. Jog/run 10-20 minutes. This doubles as your means of transport to the workout, and your warm up. Those in flatlands, you do these uphill intervals by dragging a tire with a rope. It will be great practice for your next Spartan Race. The only way to beat the hill is to embrace it. Running on a flat surface, a runner only needs to produce energy for horizontal work. The extra energy needed to lift the body vertically against gravity accounts for this extra energy expenditure. Get more caloric burn for your time spent exercising by running hills. Building muscle isn't just a vanity thing. Make sure your body is as functional and powerful as possible before you hit the starting line. If your cardio is easy, it needs to be kicked to the curb. These HIIT variations will have you begging for mercy. These three workouts will give you the strength and endurance you'll need to conquer the Spartan Race's most menacing obstacles.